Every situation truly does have a story to be told, it is simply a matter of how we tell it that makes it worth seeing. It is in that way that every movie we decide to watch becomes a gamble. Sure, the trailer is good and the premise sounds heartwarming but is it? 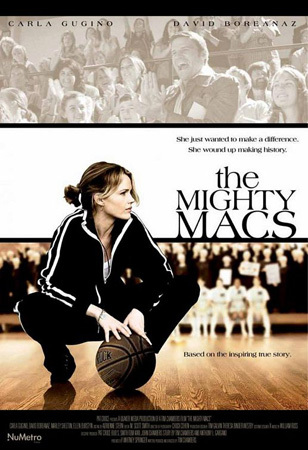 Inspired by a true story, the film The Mighty Macs (opening today) tells the story of Cathy Rush (Carla Gugino), an inexperienced wanna-be-basketball coach hired by an all-girls private Catholic college (Immacaulata College) in the early 70’s. Given a mish mash team of girls whose hearts were no where near the game, and having no where to practice (or host home games) due to a recent fire in the gymnasium, the looming season looks hopeless. Of course, from one watch of the preview we know that this is another film about another underdog team who- against all possible odds- rises up. I’ll admit that, not being a big fan of sports films, when I first saw the preview I felt like I already knew the story. I will also be the first to admit that I was wrong. This film has so much heart hidden in the subtle layers of moments that go on between Cathy and her husband, Cathy and Sister Sunday, Cathy and her team and the teammates themselves. Some of these stories are told through glimpses rather than obvious and dialogued design- but isn’t that how real life plays out too? In the moments and the minutes, in our realizations of growth and others. There is a level of proof here which shows that with nurturing- anything that can bloom and do the impossible. I have criticized another film, somewhat harshly recently. I challenged it’s rating and family appropriateness. I challenged it’s strong religious dialogue. Please hear me when I say that just because it references God in the trailer- THIS IS NOT THAT TYPE OF MOVIE. 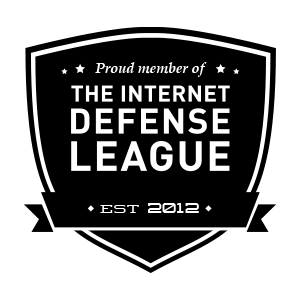 On any account. This IS a family movie. Kids old enough to understand the concept of teamwork will grasp this movie. My twelve year old will LOVE this movie. Call me crazily optimistic but I believe my 12 year old’s sense of self may even be better because of watching this movie. I also know she’ll call it her favorite, and I love that. I hope that, even if you don’t like sports movies (like me!) you will still give this film a chance… It is worth it. There is a line near the end of the film in which sister Sunday narrates, where she admits to not knowing why the Macs did as well as they did that year. Then she points out the possibility that maybe it was each teammate simply looking around her and seeing strong women who believed in themselves and their team that made the difference. As women, shouldn’t we be better women simply by observing the beautiful, brave and strong women around us? Girls, see this movie. And take your guys too because it isn’t, at all, a chick flick. Take your families, because the Mighty Macs has a real-life story to tell, and it tells it well. I'm grinning over here…I've been wanting to see this one. I've also been dying for a good family movie to watch with the kids. I'm glad my own personal movie critic likes it:) Maybe we can catch it some time this weekend. It is so good. I am hoping Gen and Chris can see it this weekend… Let me know how you like it! I will add this to our "go-see" list! Wow, you make this sound great! I will. I need a good movie. Just saw the preview and fell in love. Definitely a must see.